So I haven't exactly been keeping the weekly journal up to date. To compensate, I agreed to take over the main page as part of my writing assignments and talk about different events here. This past weekend I did two performances of Guys and Dolls Jr. at the High School here. It was super fun and there is more details on that on the main page. This past Monday though was also exciting because I finally got braces! I spent about an hour in the chair with my mouth wide open while they cemented brackets and strung wires through those. They hurt a little but I think I just need some time to get used to it! Well I just realized that the blog post that was meant for a really long time ago didn't post! So here is a late update for the last two weeks. Grammy and Poppop came to visit! It was really nice to see them again and we really loved showing them around. We also went to the North Carolina Mountain State Fair. It was super neat seeing all kinds of different crafts. Ri, Mom and I even did some wood work and I made a working top! The next week was pretty much regular, more archery, music, robotics etc. On the weekend we went to ASAP farm tours and saw four different farms. We saw all kinds of animals and veggies, llamas, chickens, tomatoes, peppers. One farm even sold pizza! The weather is starting to get chillier and we're all getting ready for our trip to Princeton that's coming up soon! This past week we did a lot of fun things! Sunday was spent at the community garden, showing off the map that we made for the garden on google sketch up. Tuesday we had more robotics, our first since the challenge came out. Wednesday we had a meeting with the Celo group, where I lead a music class and we also took archery. Thursday was rehearsal and Friday was the literary festival. I really enjoyed the festival, we saw three presentations. One was the author Tommy Hays, another was the amazing slam poet Kane Smego, who I really enjoyed. You can check out one of the poems that we heard here. We also saw a one woman performance by Barbara Smith called Ivy Rowe which is an adaptation from the book Fair and Tender Ladies. 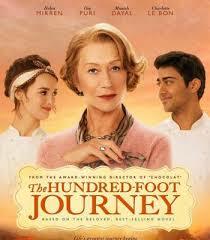 Saturday was a trip to Asheville to see 100 Foot Journey, which is a great movie about an Indian family who opens a restaurant in Southern France. Finally Sunday was rehearsal, kind of. We had a professional actor, Patrick Cronin, come visit us and talk to us about making it as an actor or actress. He was a very interesting speaker and I enjoyed his class a lot, here is a link to his page. Well these past two weeks have been pretty busy! Of course I had more rehearsals and robotics meetings. We managed to finish mom’s raised garden bed and I am happy to report that there are some shoots sprouting up and a big cage surrounding it so that the deer can’t get in. There have been more trips to the community garden, including a potluck that was absolutely delicious! Ri and I have started Spanish lessons with Ri’s friend Craig’s mom. We visited their house last weekend and had a blast feeding cows, eating amazing barbeque and picking apples and of course learning some more phrases in Spanish that is coming back to me pretty quickly. Dad ordered a microscope so we've been looking at bugs and leaves. We met with a homeschooling group that we will be joining every Wednesday to learn about archery and music. We visited the deer a bunch more times who are getting so big! 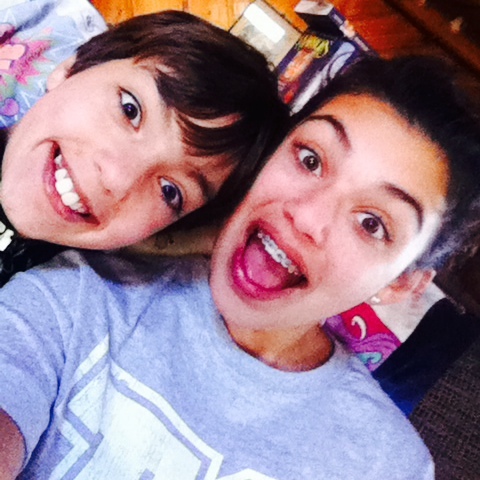 A couple days ago I went to my friend Paloma’s house after watching the play Treasure Island and had an awesome time. Shortly after I went with Rebecca to her tap class and then the pool, which was great! Our week is getting more and more packed but we manage to keep up with it. We went on a bunch more drives and saw some pretty amazing We have a lot more to look forward to and I can’t wait! We also helped mom with her raised garden bed, so she can start planting as soon as possible. Tuesday Ri and I started Robotics with the 4H program. On the weekend, Dad, Ri and I went with the trails association up Grandfather mountain. We hiked for about 3 hours covering a total distance of 3 miles. Okay I'll admit it, I am behind on the weekly updates. Okay I'll admit it, I am behind on the weekly updates. Therefore I will combine the second and third week into one post. 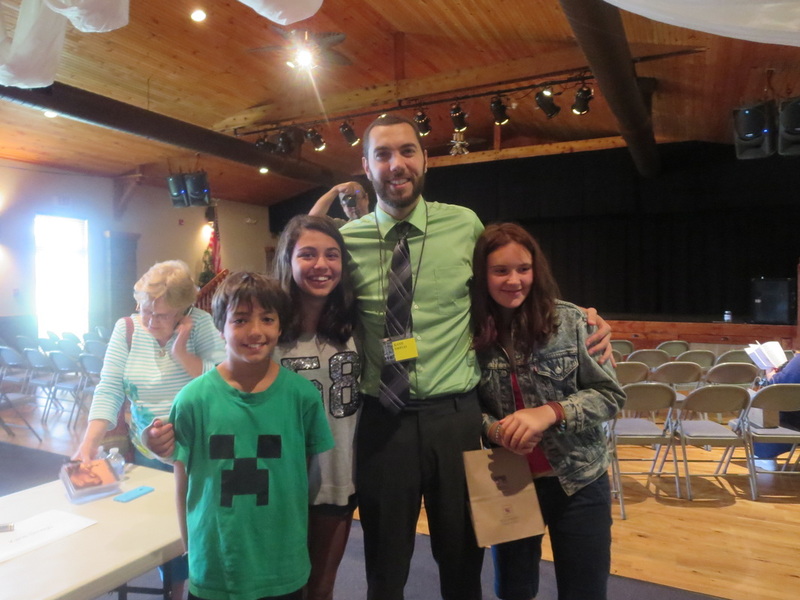 During my second week here I was kept very busy with the Theater Camp I took part in. During the week we learned a Wicked medley that we later performed at the Burnsville Crafts Fair. The fair was great! There were all kinds of tents set up around the square advertising different interesting things. I also auditioned for the Parkway Playhouse production of Guys and Dolls jr, so I will be participating in that for the next six months. The third week here we went exploring a bit more. We went to the Gems and Minerals festival in Spruce Pine. Also, we went on a bunch of hikes (when I say that I really mean two). The view was fantastic! Mom and I succeeded in scaring Ri half to death by hiding in some bushes up the trail and jumping out yelling. One of the things we heard about when we first got here was the community garden, so we went to go check that out as well. Friday the movers came, so now the garage is filled with boxes of stuff. Next week we officially start "school" we already have the schedule down. I think we will be going on a hike with the trails association this coming week and based on what I have seen so far, I'm sure the view will be absolutely breath-taking. It has been one long week. It's hard to think that just ten days ago I was on my way home to New Jersey from California, a lot has changed since then. Ri and I arrived in the cabin two days after Mom and Dad, we stopped to visit some cousins for a couple of days on the way to the cabin, and they went ahead. I immediately loved it here. It's so quiet and peaceful with the occasional bark from Gracie (the dog who lives down the street.) Ri, Will and I went to go visit her and her owners Keith and Angela. FYI they take care of baby deer and it was a chaotic operation, but super fun! The whole week all of us were running errands (ok so maybe it was just Mom and Dad) but we had to get the necessities down. I guess we're more settled now and gradually getting into our homeschool schedule, though we still sleep late hopefully we're(I) are getting better! Hey! I was born in Mumbai, India. I am 13 years old and I am just finishing eighth grade. I love singing and acting, especially in musicals. And I guess I kind of created this website!